Twice as Strong, yet 40% Lighter than Standard Rubber Hoses:This black rubber hose offers a major advancement in rubber hose technology. Its special compound and design make it 40% lighter than traditional rubber hoses, yet strong enough for the most demanding of commercial applications with a high side pressure of over 400+ PSI. 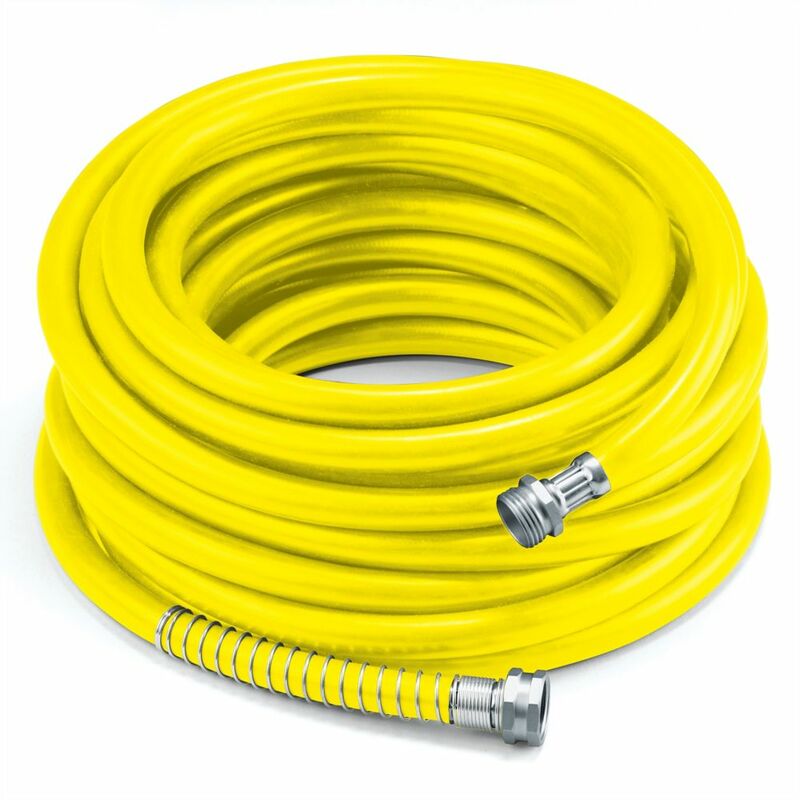 5/8" x 100' Premium Rubber Garden Hose - Yellow All weather premium rubber hose 5/8" x 100'.Anti kink heavy duty spring guard. Abrasion resistant cover. Nickel plated brass fitting.UV and ozone protection.